It was a Buddhist wedding pulled together in less than a week and squeezed between Vietnamese New Year festivities. 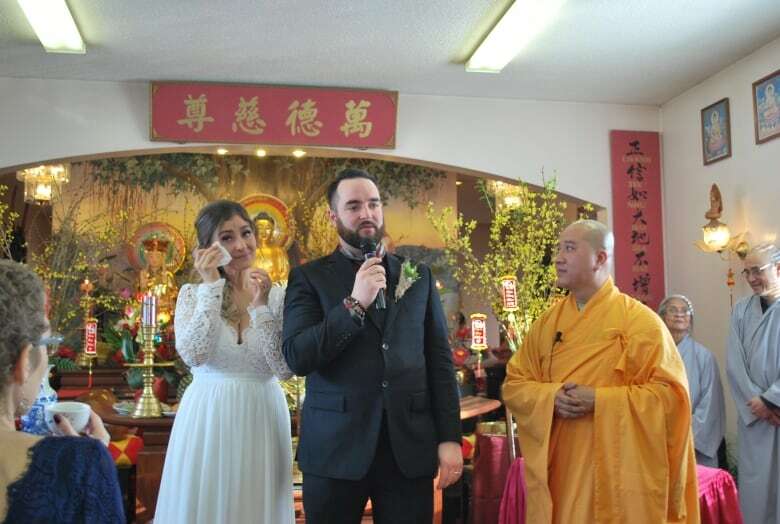 It was a Buddhist wedding pulled together in less than a week and squeezed between Vietnamese New Year festivities, but newlyweds Jack Rennie and Jocelyn Oddo it was the most perfect, serendipitous way to begin their marriage. 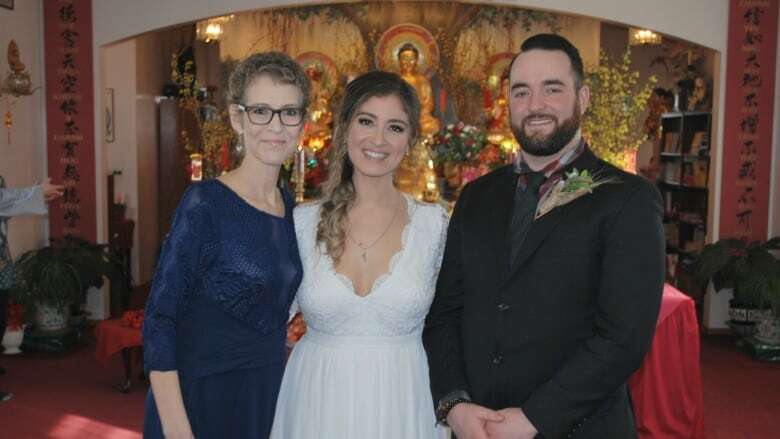 Most important for Oddo, her mother was able to be part of the wedding day in Regina, even though she is battling advanced ovarian cancer. "It was a beautiful day," said Oddo. "It was literally everything Jack and I had wanted and didn't know how we were going to create, and it came about organically." 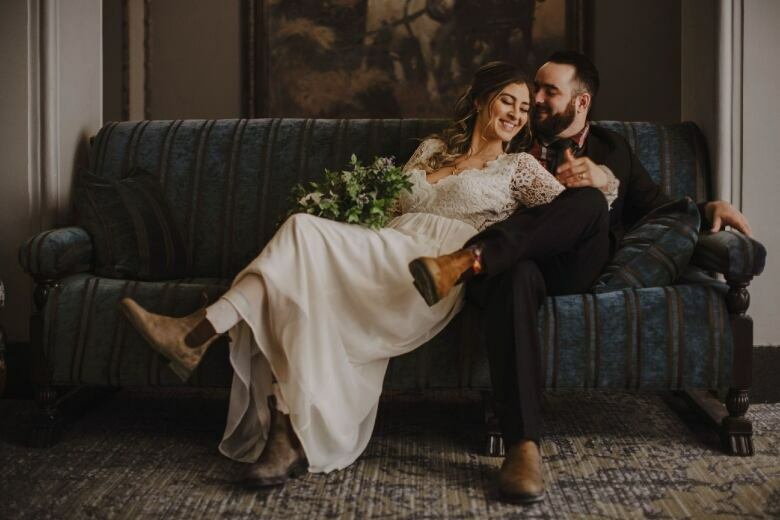 Oddo called her fiance on a Monday, Feb. 4, asking if he thought they could move their wedding forward so that her mother could make the ceremony. She didn't want the wedding to be a symbol of her mother's health struggle, but rather a way to show her love and live each day her mother still has with them. "This was saying, 'I want you to be here. You don't know what tomorrow's going to bring,' " Oddo recalled saying to her mother. Her mother and her fiance agreed. The couple quickly got to work. Both Oddo and Rennie are followers of Buddhism. They learned that a monk from Edmonton just happened to be coming to Regina for a New Year's event. They picked up the last marriage certificate available at Southland Mall that day, called their friends and family, found a photographer and pulled together decorations over a lunch break. They stopped at a pawn store for rings, getting yet another surprise when they learned the person selling rings was a fellow Buddhist. "We just told him the situation and he gave us a really good deal," recalled Rennie. "He said, 'Oh I'm actually the one who picked up the monk this morning from the airport.' "
Rennie said the people at the Vietnamese Buddhist temple pulled out all the stops for the Sunday ceremony, feeding the couple, bringing out chairs for the guests and making them all feel welcome. A friend of the couple learned to play the song Oddo wanted as she walked down the aisle watched by her mother, who was able to be a part of her daughter's day. "The ceremony was one of the most beautiful things I've ever been a part of in my entire life," said Rennie. "There was not a dry eye in the room." As their wedding day drew to a close, both Rennie and Oddo danced with Oddo's mother. It was a night to end all nights. For Oddo, it was a reminder to let go of the things she can't control and to appreciate the way things worked out when she did just that. "All the hands involved were just so divine, like they were they were guided by something larger than us, for sure," said Oddo.